Cheers to the weekend! Enjoy your choice of sweet or savory entrée, the freshest sushi and a festive dessert: our brunch always delivers. SUSHISAMBA Miami Beach's combination of creative, energetic design and critically-lauded dining is perfect for your next event. Our dedicated events team will work closely with you to design an unforgettable experience in our elegant space that best suits your needs and exceeds your expectations. 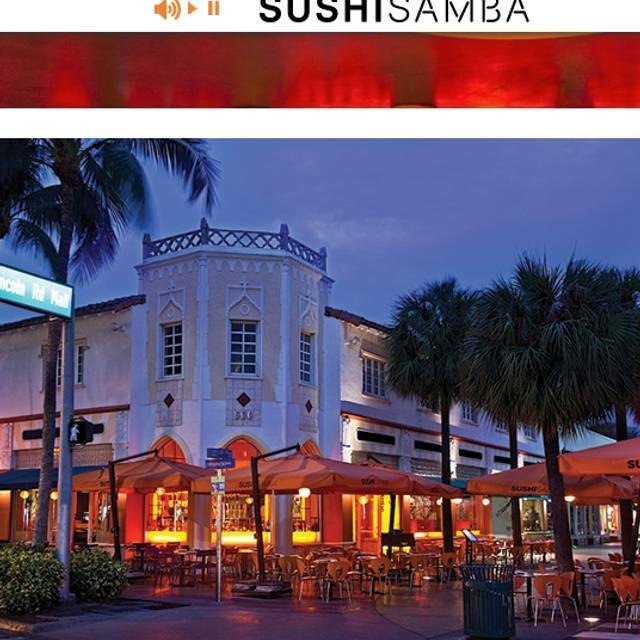 With its blend of Japanese, Brazilian and Peruvian culture and cuisine, SUSHISAMBA is a long-standing Miami favorite. Dine and drink on the Lincoln Road promenade - the perfect way to enjoy the energy of Miami Beach. 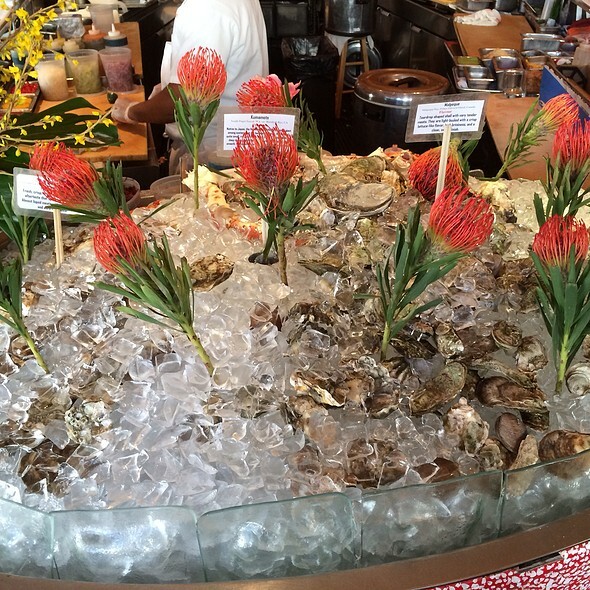 Gather with friends at one of two stunning indoor bars or dine around the circular sushi bar. There are so many ways to enjoy the SUSHISAMBA experience! 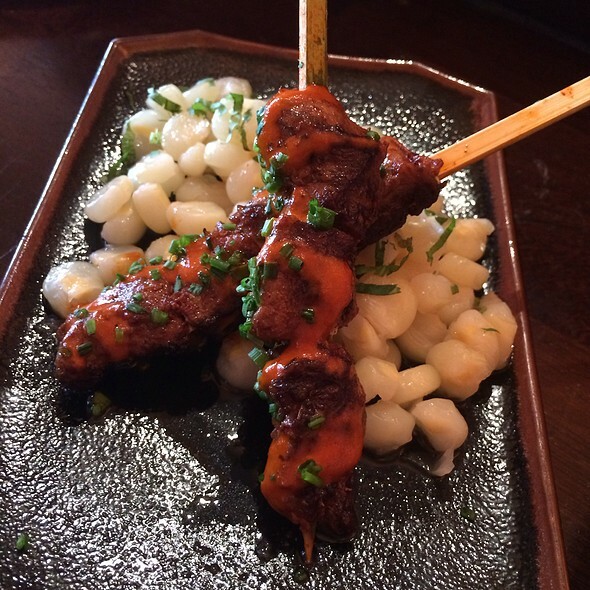 Fans love the diverse culinary choices, whether it be the sea bass, ribeye and other skewered savories found in the Peruvian Anticuchos or for veggie lovers, the Mushroom Tobanyaki. From the most inventive and super fresh sushi rolls, sashimi, seviche and raw bar to classic Chicken Teriyaki and hearty seafood Moqueca, SUSHISAMBA has something for every palate. Food wasn’t as good as it used to be. And our table had stains on it. Which were old stains that seeped into the finish. Looked almost like black mold. Otherwise, service from Tatyana was fantastic. Don’t blame the help here. Blame the management. Very nice place! Excellent food and drinks! Brian’s service was absolutely flawless! Smelled like a frat basement and everything seemed to have a post-spring-break coating. Needs a good top to bottom cleaning! Food quality was solid, nonetheless. Overall good with very good service, but value for money ended up being a bit lower than expected. 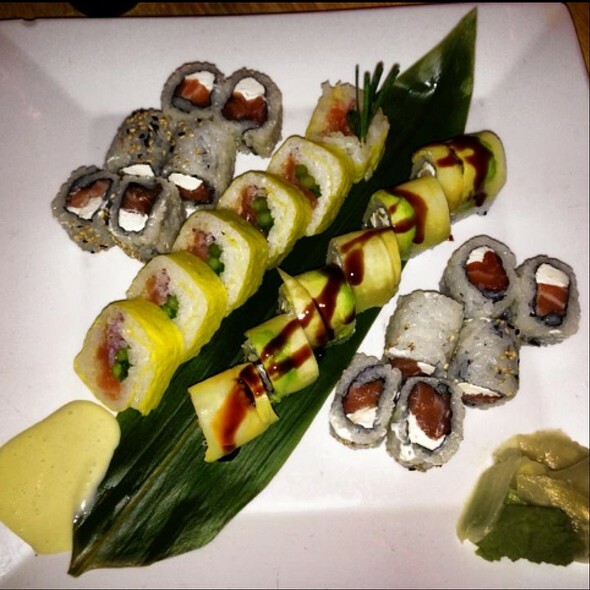 We love the energy level of Lincoln Road and love sushi. 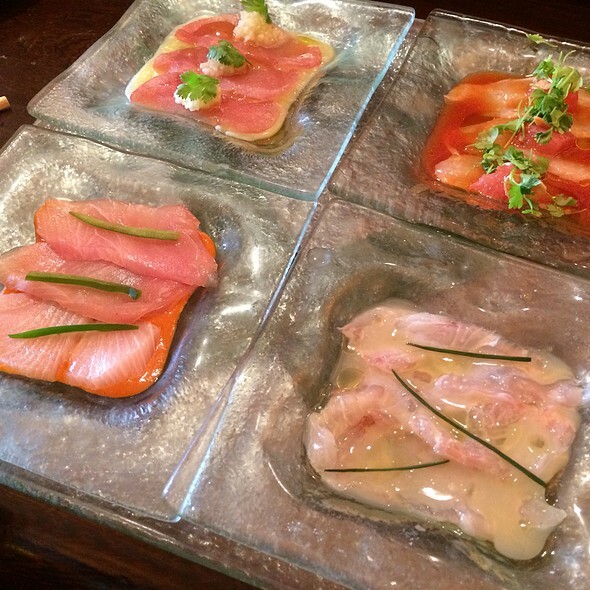 However, we thought that it was OK compared to other sushi restaurants-the menu was very limited and did not have what we expected from the popular restaurant. We were a group of 10 and had an amazing time! Our waiter designed our menu so we got to try a bit of everything. Food was amazing and it was so nice not having to pick out menu items. Great value - would go back again! They told us if we wanted sushi it would be a minimum of 45 minute wait. This is not the first time this is happened at this restaurant. Very disappointing going to a sushi restaurant and not being able to order sushi and less you want to wait 45 minutes minimum. Overpriced for very average food. We sat outside, chairs were metal and “screeched” like fingernails on a chalkboard when you moved. Server kept getting lost. Dinner items were served quickly but then we had to wait forever for dessert. Only plus was that it was Lincoln road. It was food but not as fancy as sushi samba in other countries like UK. Food was incredible! The service could have been more expedient but overall, it was great. 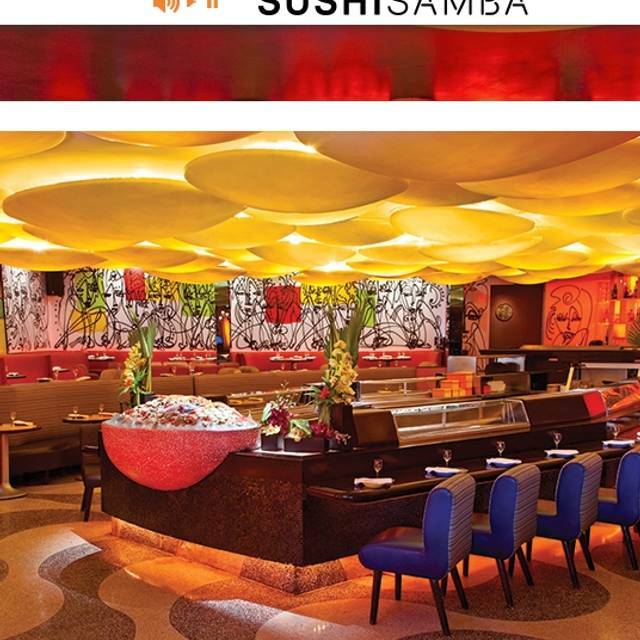 Sushi Samba is one of our favorite restaurants in Miami. 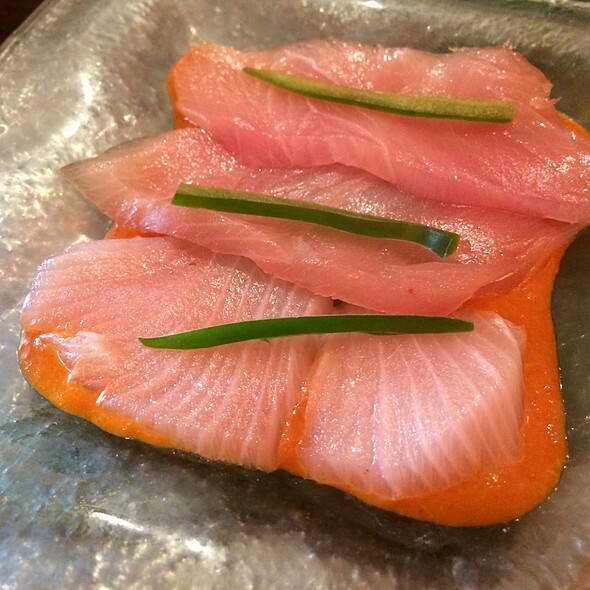 We constantly have an excellent service and delicious sushi. However yesterday the service was not good. Our waitress was in a rush all time and she didn’t pay attention to us (i.e. she didn’t show us the dessert menu or it took 15 min to get the check). The good thing is that Enrique, gave us 20% of discount when we explained what happened. Waited over an hour for our food. Never again! The food was awesome. The staff was friendly. They anticipated every need. The Chilean sea bass was perfect. Food was very good as usual but service was bad from the host to the server. I have been many times in the last 20 years and never had a bad experience until now. Food is amazing but took long to serve us. The service was great and the food was good. Friendly people and atmosphere. Will definitely go again. Excellent food and service! Our server, Amy, was amazing and it was the best customer service we have revived in our 4 day stay in Miami!! We will definitely come back the next time we visit!! My boyfriend and I have been to SUSHISAMBA in Miami a few times a year, every year for the last 5 years. Yesterday, the quality of the food has gone down drastically. The Rock shrimp appetizer had no taste and was over cooked. Our special chef maki barely had any salmon in it and extremely thick rice. The toro and the taquitos were the only positives. 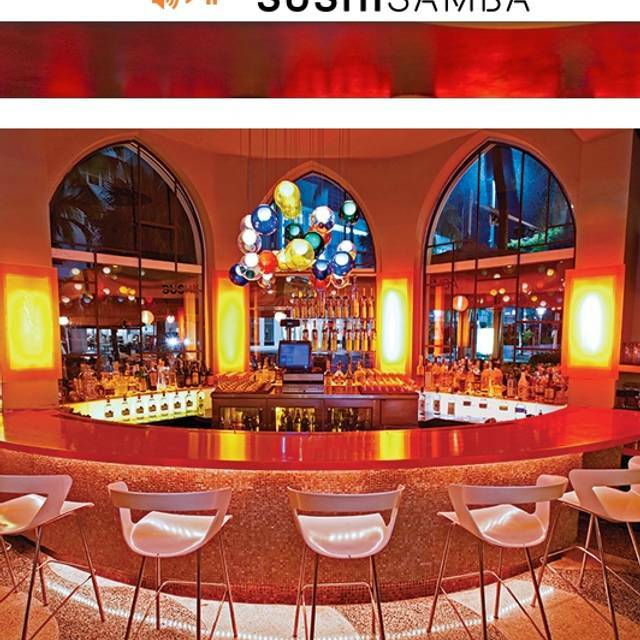 We brought our family to Sushi Samba for a fun night in South Beach. Our experience exceeded our expectations. Our server was so kind, and thoughtful to our children. 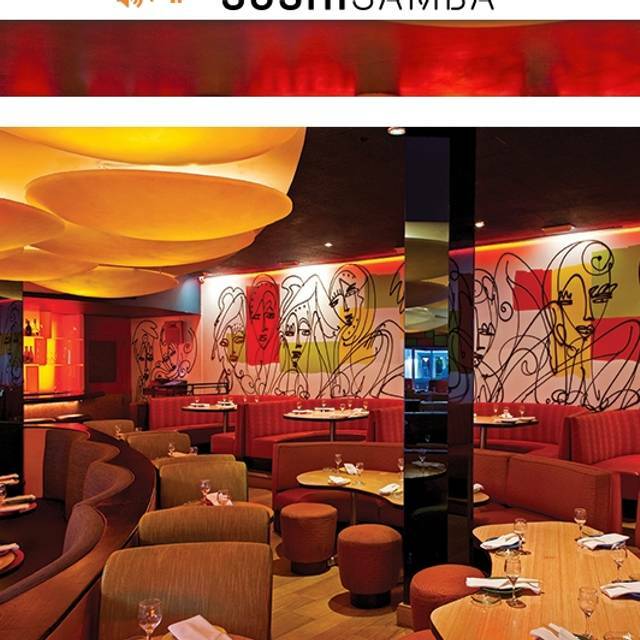 We enjoyed every minute of our dinning experience at Samba! Not sure why they can't assign tables effectively. After 20 minutes of sitting at our table (one of about 5 filled at that time of night), I had to go over to the desk to ask for service. The waitress who came over told us it was not her table but she would take care of us, which she did effectively. During our wait, there was a gentleman who looked like he might be the manager outside about 20 feet from us having a great time joking around with the male waiters. How hard is it to effectively assign and monitor table service??? The food here is good, not great, and South Beach expensive (very). It's a shame there are very few restaurants on Lincoln Road that deliver the entire package of service, quality, and value. Sushi Samba does not. The service is just really bad. The sushi is good but could come down in price.